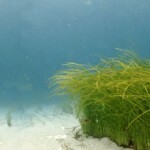 Members of the World Seagrass Association are part of an international community who share an interest in seagrasses, their biology, conservation and management. If you are interested in becoming a member of our organisation please email us at: wsa.secretary@gmail.com or register now. You can read our recent reports and minutes from meetings and download other documents from a list of downloadable reports and correspondence.